You’ve made the commitment to eat clean, but are you cooking all of this healthy food on cookware covered in toxic substances…that are leaching out into your healthy food? 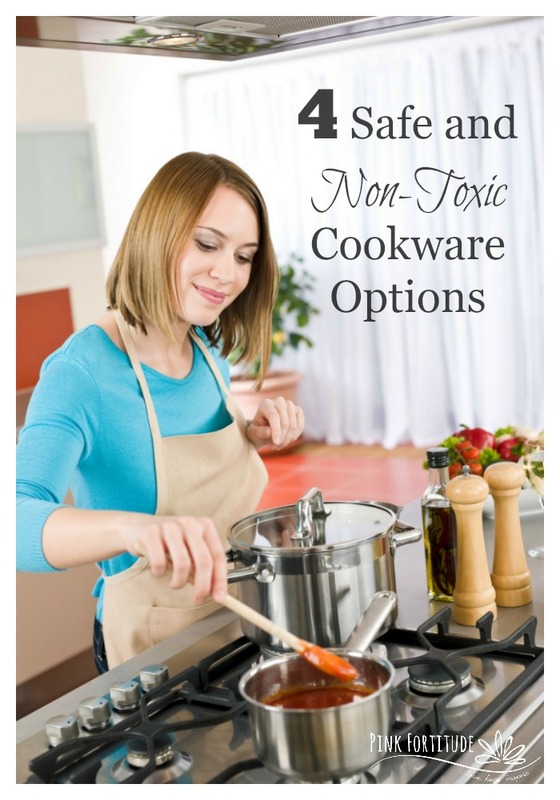 I’ve put together a series of several articles on this topic, and today we are going to examine non-toxic cookware options. First of all, I want to ensure I’m completely clear in that I am not telling you to go out and replace all of your cookware – especially all at once. It’s expensive to do. When we went clean, it was food first, cleaning and bath/beauty products second, and cookware third. In fact, at the time of this article being published, we are still only 75% by replacing our cookware. I’m here to give you the facts, and it’s up to you to discern if, when, and how you decide to replace some or all of your cookware. Rest assured, I will walk you step by step through the toxins, the toxic cookware, healthier alternatives, and where to start. 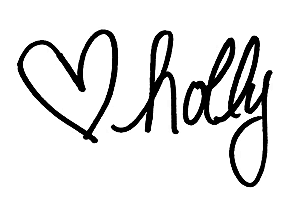 I won’t leave you hanging… pinky swear promise! Let’s start with non-stick cookware because it’s a mainstay in pretty much every kitchen. Non-stick coatings, including Teflon, Anolon, Caphalon, and Tefal, are made with a carcinogenic chemical called perfluorooctanoic acid (PFOA), which emit toxic fumes that you inhale every time you cook with a non-stick pot or pan. (*note – you may also look for polytetrafluoroetheylene or PTFE). In one study, over 90% of people tested showed significant levels of these carcinogens in their blood. Non-stick chemicals have been linked to birth defects, liver toxicity, cancer, the flu, and other diseases. While Teflon (Chemours) claims that Teflon is safe for humans, it warns that “cooking fumes from any type of unattended or overheated cookware, not just nonstick, can quickly kill pet birds and damage a bird’s lungs with alarming speed,” (source). Even the EPA admits that PFOAs have been “linked to cancer… developmental effects to fetuses during pregnancy or to breastfed infants, liver damage, and immunity and thyroid issues,” (source). We use a lot of aluminum foil in our home. There. I said it. I understand the dangers of aluminum, but it’s still one step at a time. I’m being completely open and honest with you because this whole process isn’t something that most people can do overnight. Because of what I’ve learned from researching this article, I started substituting parchment paper on top of baking sheets instead of cooking directly on the baking sheet or with aluminum foil. Baby steps. Aluminum is a toxic heavy metal that has been linked to Alzheimer’s disease, Parkinson’s disease, some cancers, autism, and asthma. It is a highly reactive substance, especially with acidic foods…. meaning… when aluminum is heated, the harmful chemicals will leach into your food. There is an environmental impact to aluminum cookware as well, as aluminum must be mined and processed, which contributes to pollution. Stainless steel is your best bet here. This cookie sheet is a great alternative. If you’re using an aluminum baking sheet, as long as it’s not nonstick—just make sure to use either non-bleached parchment paper, or try these awesome French-made Silpat baking sheets. Just as an FYI… there isn’t a lot of research on silicone. Everything I could find points to the fact it is safe to use, but it doesn’t have a complete vote of confidence yet. Put it this way, silicone is safer than Teflon or aluminum. Stainless steel is one of the good guys, but you need to be mindful of the quality. Stainless steel is an alloy of several metals, including chromium, cadmium, and nickel, which can leach into your food, so it’s best to ensure these metals are limited. Stainless steel is durable, resists cracks, and is the least reactive of all metals. Cast iron has been a staple in homes for years. It is inexpensive, durable, chemical-free, and an excellent heat conductor. And, when properly seasoned, it becomes naturally non-stick. The seasoned coating has a polymerized fat which acts as a barrier between the iron and your food and becomes a non-stick surface. Cast iron pans are best for cooking food that is not extremely wet – such as sauteing vegetables or making frittatas. Stoneware is another cookware that has been around for years. It is naturally non-stick and non-reactive. It heats evenly. Stoneware is great for baking. Like cast iron, stoneware needs to be seasoned with a layer of fat or oil when first used. Glass is safe, but is not a top heat conductor and does not respond well to dramatic temperature changes. If you are heating up leftovers, you don’t want the container to go immediately from the refrigerator or freezer straight into the oven. Hot glassware should never be placed on wet countertops or placed in water while still hot. Love, hugs, and shrapnel is not one of the major food groups. Thank you I found your post very helpful. I am also working toward healthier cookware. We’ve been moving away from non-stick, but I do have a lot of stainless steel. I do want to add more stoneware to my kitchen and will have to do it slowly since it’s pretty pricey. I do use parchment paper and silicone mats a lot since it makes for easy clean up. I started replacing my nonstick cookware with stainless steel and my plastic with glass. I use too much aluminium foil too. Looks like I will need to switch to parchment. Thanks for sharing. Stopping by from SITS Sharefest and hope you will Linkup with my Pretty Pintastic and Small Victories Sunday linkup parties both going on now. Such great info, Holly. And perfect timing for me as I’m evaluating each item in my kitchen and moving toward clean(er) eating. I have teflon coated and also a cast iron pan that I just got not too long ago. I have been cooking for 30+ years and just now got one. I am not sure how I feel about it yet…lol. Happy Holidays! What about waxed paper used for covering leftovers in the microwave? I’m getting away from using Saran Wrap when reheating.